...where students create and learn. We have a wide variety of books from which to choose. from our staff or your fellow students! Our Makerspace provides students with an opportunity to learn in an unconventional way. It's fun learning! Tana began her career as a 2nd grade teacher. Three years later she moved to the library, discovered the best job in the school, and never looked back. Collaborating with teachers to integrate and use technology allows her to continue teaching. She LOVES serving teachers and students. This will be her second year at Tanana. Emma is a military spouse with two daughters, who after having lived in different places over the years, moved to Alaska in 2017. 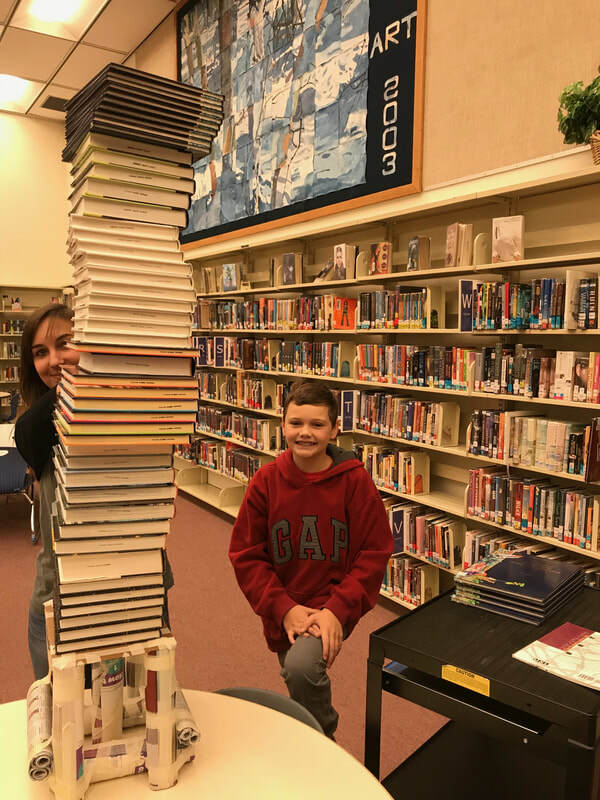 Having volunteered in school libraries for a few years, Emma decided it was time to start working in a library and was thrilled to start working at Tanana at the start of the school year 2018.